October is here, and with this new month, weather is a little fresher around here. Wherever you go country is dressed now with the most beautiful Fall colors, and the apple picking is back, most of the people around here is busy picking apples before the bad and cold weather hits this beautiful land. 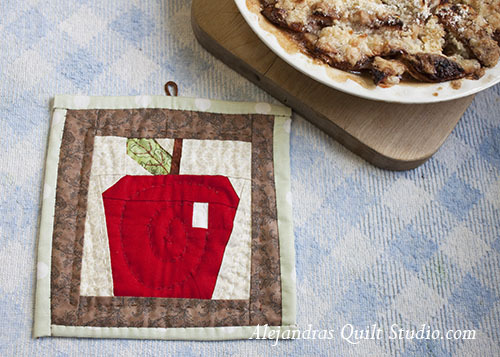 With apple picking season, there is nothing better to come back home and have a home made apple pie. I remember pretty well how my house used to smell so good when my mother was baking apple pies, I’m sure she could bake the best apple pies of those times. Diner time was the best for our family when we used to enjoy her apple pies. I was luck enough to get the recipe from her, and once in a while I like to bake one or two apple pies. 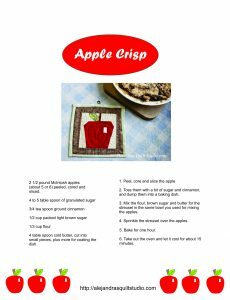 As things has change, and now I like to eat healthier I don’t bake as often as I used to do, but since I moved here, I got to know, there is another way to bake some apples but not as pies, but as crisp. And they are so good, and I don’t feel too guilty having some. 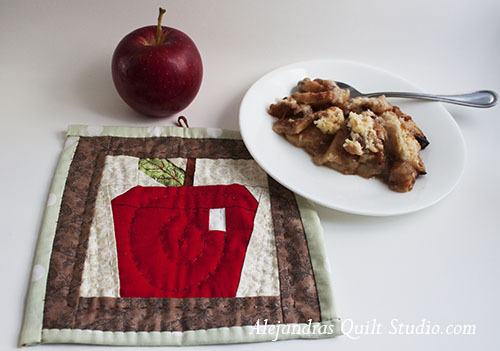 So today I have a new pattern for the quilt, but this time I made two, I will keep one for the quilt and with the other one I made a pot holder, just to get more on the Fall Atmosphere, (I might not use it as a pot holder, but I will keep it as a mini quilt and I will hang it on a wall in the kitchen). 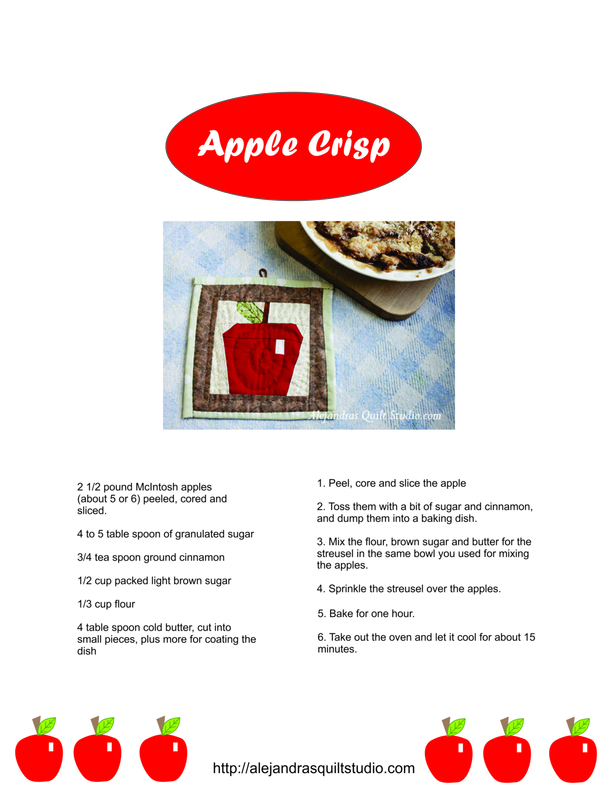 After you bake the Apple Crisp come back here and write a comment and let me know how did it go. If you have any question about the free pattern to make the apple block, leave a comment. I thank you for visit and read my blog. I can’t get the download to activate. 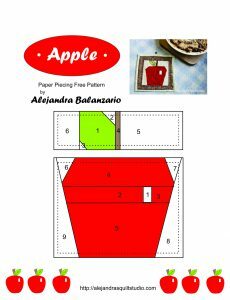 Could you please e-mail me a copy of the Apple pattern. Thank you so much.